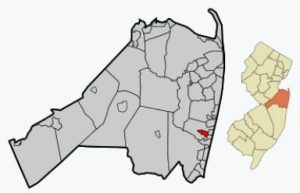 Jumping Brook – an active adult community in Neptune NJ. The Villas at Jumping Brook is located in Neptune Township, Monmouth County NJ. This is a 55+ Active Adult , Over 55 Community consisting of 168 homes. Built between 2001 and 2003, Jumping Brook is conveniently located between Routes 66 and 33. Close to the Jersey Shore beaches, it provides easy access to major roads such as Route 34, Route 18 and the Garden State Parkway exit 100. It’s close to shopping malls, theaters, beaches, libraries, museums, and much more. Jumping Brook is adjacent to, but not part of the Jumping Brook Country Club, a 6,619 yard, 18 hole, par 72 course designed by Willard Wilkinson in 1925 in collaboration with A.W. Tillinghast. In fact, there are a few homes that have a view of the golf course. The homes are upscale, with sizes between +-1500 sq ft and +-2700 sq ft.These detached single family homes have either two or three bedrooms. While some homes have a loft, others may have a basement, yet some actually have both. Additionally, two car garages are standard in Jumping Brook. There is a small clubhouse with a multi-purpose room. Additionally there is an outdoor pool. The monthly maintenance fees include common area maintenance, outdoor pool, snow removal, trash removal and lawn maintenance. This is not a gated community. All Adult Communities in Monmouth County offer bus transportation services. There is a bus service that serves each community, providing transport to local shopping centers such as malls and supermarkets. The county also provides a medical transport bus that will take people to any doctor’s office or medical facility in Monmouth County. These trips require an advance reservation, however there is a minimal charge for this service. Conveniently located near Route 33, people like Jumping Brook because it’s near the Garden State Parkway. In addition, rail service to New York is nearby in Asbury Park.